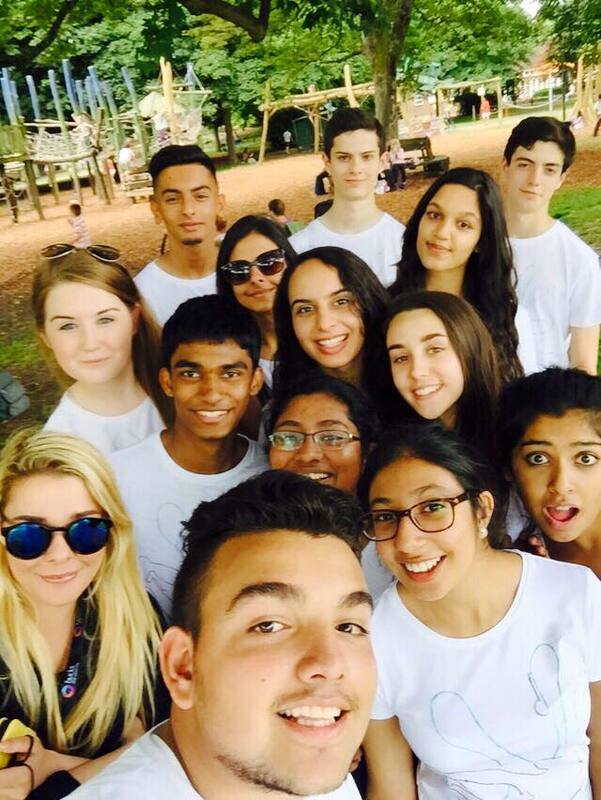 Summer 2015: My NCS Experience! How are you all? I’m feeling very autumnal as I have lit a few candles which make me feel very cosy! As I promised, here is my post on my summer! I hope enjoy reading about what I got up to! Let me know whether you have done NCS before or if you are interested in doing it as I would love to know! So this summer I took part in a 3 week programme called NCS which is for teenagers aged 15-17 who are living in the UK. I started NCS in the middle of July on a Monday, we met at a local university in the morning. I went with my friend but when we arrived we were actually told that we weren’t in the same group which I was quite sad/scared about! We went into a small room with our new group and it was very awkward! It felt so strange not knowing anyone! We played a couple of games such as wink murderer and the human knot (which was a bit awkward!) We then got on a coach to Wolverhampton to our centre which we were staying at for 5 days. We got to the place we were staying at and I soon found out that me and my friend were not in the same room 😦 On the first day I felt a bit down as I hadn’t made any new friends and it was all a bit overwhelming. Luckily the next day I really enjoyed myself as we did lots of activities including bushcraft (making fires), canoeing (which was sooo much fun!) and archery. The next day we went on a hike and it was sooo cold for the middle of summer!!!?? Our hike was very entertaining as we got lost and our leader was so funny, our group really bonded while we were getting lost! We then arrived at a new camp (30 mins late!) and we set up our tents and had a little campfire while we ate dinner and it was really nice. I shared a tent with two girls from my group and it was great fun. The next day we went climbing which I was actually really good at?! Then we went caving which was quite claustrophobic but fun and I tried all the tunnels! Then we went on the high and low ropes and we had to jump of this tall tower which I really didn’t want to do but then my whole team was cheering me on which was so lovely and I managed to face my fear and do it! I also won an award in the evening for my climbing! The next day we then went home for the weekend. The second week we had to learn a new skill and our skill was media. We then went to meet our charity partner and filmed some footage with some professional equipment to create a film for the arts centre. I didn’t find this that interesting even though I do like media. We then went back to our base and started to edit the footage. Later on in the afternoon we then got to our accommodation for the week which was university accommodation where we had a shared flat with a kitchen and lounge and then our own rooms with an en suite which I was very happy about!! It was so good to have my own room! This style of accommodation really made me consider university life and staying away from home and it made me really want to go to university. We then cooked dinner as a flat which was fun and then we got some free time to chill out with our friends from the other flats. The next day we went back to the arts centre to interview the staff and just to capture more footage. This day was a bit pointless and I didn’t enjoy it as much. On the Wednesday we had something called a showcase which was an event where we showed our parents and the group what we had been doing for the past couple of days. We played our film to everyone and then we individually had to speak about what we did and if we enjoyed it etc. I hate public speaking so I was pretty scared to say my couple of sentences. I did it and felt quite proud of myself as I faced one of my fears and I received an award in the evening for facing a fear 🙂 The next day we went to a trip to a local theatre and looked round which was pretty boring but during the tour a couple of us couldn’t stop giggling and we got sent out the room haha. When we got back to our flats we had a masterchef competition between all the flats which was good fun! On the last day we had did Dragons Den where we had to pitch a campaign idea to some dragons who were going to give us money to carry out the campaign. We all had to dress really smart and then in our pitch we started doing the cha cha slide! Everyone was confused but it did make people laugh! The point of doing that was because our campaign was to do a flashmob. We ended up winning the dragons den and got the extra funding so they must have been impressed! On the third week we stayed at home and on the first day we just planned for our flashmob/campaign. The second day we did this challenge called the 99 challenges where we went into the town and tried to interact with strangers in order to tick things off our list. This was good fun! The next day we did some painting on canvas’! It was quite a random thing to do but again it was fun. On the last day we did our campaign and flashmob. I defiantly think that Week 1 of NCS was my favourite. I enjoyed staying in the uni accommodation in Week 2 and then I didn’t really enjoy week 3 as much. Overall I think NCS was the best thing I have ever done and I really recommend everyone to do it as I had a fantastic time! I really think I have grown in confidence and I can now make friends easier. It has also given me great skills that I need to go to university. If you did make it to the end of this very lengthy post then I hope you have enjoyed reading my story on NCS! p.s I actually started this post a month ago but my laptop hasn’t been working so I couldn’t finish it so I’m sorry about that!